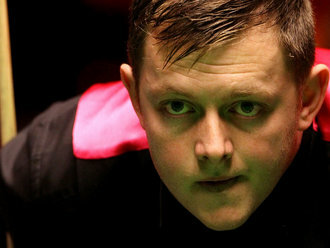 Mark Allen edged out Mark Selby 6-5 to set up a final meeting with Stephen Lee, a 6-2 winner over Robert Milkins, at the Star Xing Pai Haikou World Open. Northern Ireland’s Allen mounted an outstanding comeback to defeat Selby 6-5 and stay on course for the first ranking tournament victory of his career. Trailing 5-2 in the best of 11 match, Allen, the 26 year-old from Antrim, fired home four racks back to back to clinch a thrilling victory in front of an appreciative crowd at Haikou Stadium. "It’s very, very good to get through as any win against Mark Selby is a good win but to come from 5-2 behind is even better and the way I played in the last four frames would be worthy of winning any match," said a delighted Allen. World No 1 Selby had looked in command, leading 3-1 and then 5-2, compiling a couple of centuries in the process. A break of 80, though, kept the Ulsterman in the match and he followed that up with a 79 and a 71 to level it up at 5-5. Allen then clinched victory with a fast flowing break of 112 which was the highlight of a top quality match. "Hopefully I can now go on and win the tournament as to have played like that and not go on and win would be very disappointing," said Allen. "When I was 5-2 down I didn’t think I was getting much luck but in the last few frames things started to go for me. The conditions out there were still quite tricky and warm but it was much, much better than previously and if the conditions are like that tomorrow and I play the way I did today I’ve got a good chance. "I just want to go out and play well and give myself a chance of winning and if I play the way I have all week I’m confident of winning my first ranking title. You have to believe in your own ability and I know I’m a very good player but I’ve always struggled for consistency over the last few years. "I’ve got better now and a lot of people are saying my first ranking victory is just around the corner but it’s up to me to go out there and do it. I came here this week quietly confident and I think it’s about time I got my name on a trophy." Lee will be chasing his fifth ranking title and his first since the 2006 Welsh Open and he goes into the match on an excellent run of form following quarter and semi-final appearances in his last two ranking events. "I’m quietly confident and that comes from playing week in, week out and I wouldn’t be here if I didn’t think I could win it," said Lee. "I had a semi-final in the German Masters and Ding beat me in the quarter-finals of the Welsh so I came here off the back of that and I’ve played some good stuff this week and I finished off tonight with a couple of good frames." Milkins took the opener and stayed with Lee in the early stages and they reached the mid-session interval at 2-2. Lee stepped up the pace though when they returned and breaks of 85, 61 and 76 were enough to seal his spot in the title match. "I’ve played Mark Allen many times and they’re always good matches. It’s nice to get to a final and Mark will be bang up for his first ranking title," Trowbridge’s Lee continued. "It’s a cracking place to be in and it’s been a long time coming for me but I found it very tough playing six ranking events in a season as that was too much pressure on my shoulders. "I hope Mark’s win today has taken a bit out of him but I’m expecting a tough game and I’ve no doubt I’ll get one. I know how good he is but I’m going to be aggressive tomorrow as the pressure is off a little bit. "I’ve picked up some ranking points this week and consolidated my top 16 position so I’m going to let fly tomorrow and see what happens."